Big News! Now you can open and view HEIC on Windows 10 directly! A week ago, how to open and view HEIC photos on Windows was one of the biggest concerns for us photo addicts using iPhone iOS 11 iPhone 7 camera for photography. 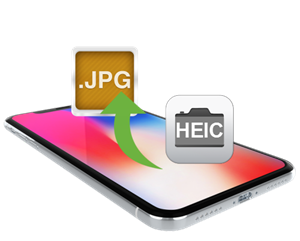 Photos taken by iOS 11 iPhone 7/8 will be saved as HEIC by default, and if you share the original photo with your family who only have a Windows PC and an Android phone, they will only be looking at those blank files with .HEIC extentions. This format is at first unsupported by Windows PC, including Windows 10/7, but now, you can view them directly! Top HEIC viewers for Windows 10/7 will be introduced below! 1. What is HEIC, We Don't Need An HEIC Converter! 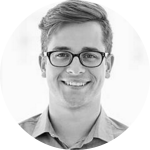 What is HEIC, We Don't Need An HEIC to JPG Converter! Who says we need an HEIC converter? The fact is we do not need it at all. HEIC is an advanced image format which is good at compressing 8bit photos/multiple images/data for more storage space and faster online sharing. It also allows for new forms of data like depth map to be contained in a smaller sized file for easier editing. Why would we want to ignore this better format and downgrade to older one? You may want to find out HEIC vs JPG comparison and why it matters. And the only senario you think you might need an HEIC to JPG converter is when you get some HEIC files on phone/Windows and finding no ways to view them or edit them. Using HEIC to JPG converter will bring up storage problem of which format version to keep, keeping them both or delete HEIC? Since converters brings you JPG copies of the original HEIC photos, and JPG copies are twice the size of HEIC. We need HEIC viewer and HEIC editor application! Connect your iPhone with your Windows 10 computer using DearMob iPhone Manager and all those HEIC photos will be displayed instantly for viewing! Just select certain HEIC photos to be exported out in JPG format, and you won't be bothered by image incompatiblity any more. 1. iPhone and iPad models with A10 processors or newer, powered with iOS 11 can take pictures in HEIC. 2. HEIC format iPhone photos can only be browsed on the same new models of iPhone, iPad, Mac computers powered with macOS High Sierra/macOS Sierra 10.12.6. 3. You can use DearMob iPhone Manager to export & import HEIC as JPEG pictures, photos just as well. Step 1: Download, install and launch DearMob iPhone Manager for Windows or Mac. Step 2: Connect iPhone to computer via lightning cable. Click on "Photos" to browse all HEIC photos on your iPhone. 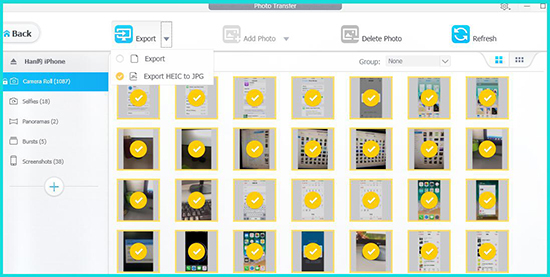 Step 3: Click on "Select All" or manually select certain HEIC photos > hit "Export Photos" button > Click on "Export HEIC to JPG". Note: If you intend to transfer HEIC photos out for backup or something, you can click on export instead of HEIC to JPG, and this tool can also help you open HEIC on Windows. Take a look at how to further edit photos or edit HEIC photos on Windows or Mac. 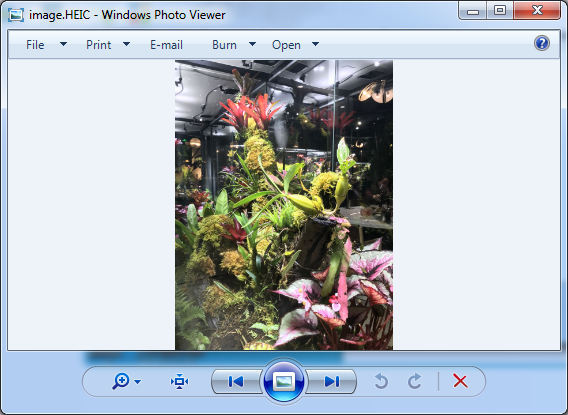 Suddenly, my Windows Photo Viewer supports HEIC browsing on my Windows 7 PC!! Step 1: Right click on the HEIC photo. Step 2: Choose Open with Windows Photo Viewer. Step 1: Install Apowersoft Photo Viewer for computer. Step 2: Follow the installation instructions and launch it. 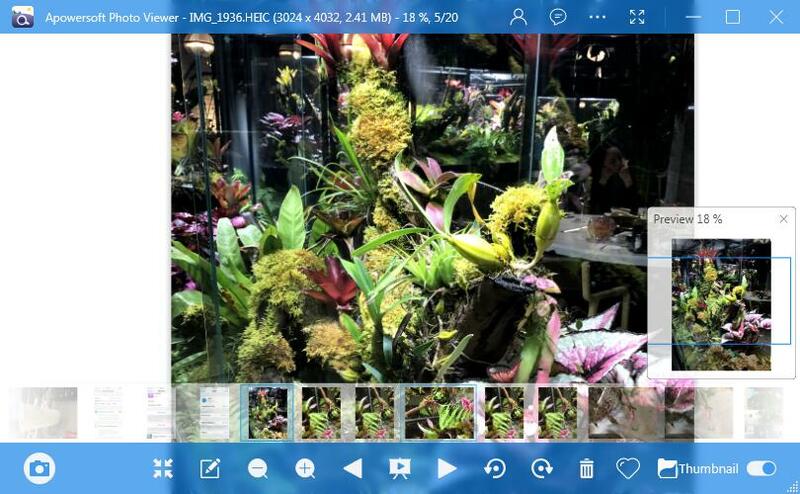 Step 3: Drag-n-drop HEIC photos to this HEIC photo viewer or right-click on the HEIC picture and choose Open with Apowersoft HEIC Viewer. Apowersoft lets you edit, create slide shows, preview, zoom-in/zoom-out, rotate, and even create thumbnails from HEIC photos. Very robust and easy to use! If you are a regular Google Chrmoe users, view HEIC photos from Google Photos is very simple and handy! Google Photos supports to view HEIC photos very quickly! The only thing you do is to upload HEIC! 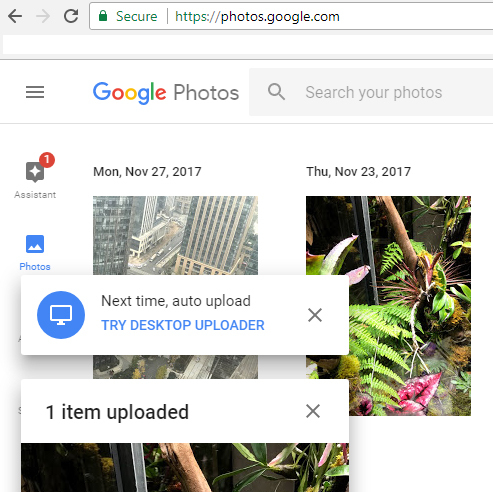 Step 1: Visit Google Photos from Windows 10 browser - the Pinwheel icon or visit https://photos.google.com/ directly and sign in your account. Step 2: Click "Upload" button to browse HEIC photos from local folders. Note: You can batch upload HEIC photos and view them in Google Photos at an alarming speed, way more faster than online HEIC converters, while keeping the original file format to save storage space! You can create HEIC albums, share HEIC albums, create collage and animations! Goolge Photos is great and fast online tool to choose! DearMob iPhone Manager let you manage your iPhone iOS HEIC photos by transfer them out to JPG or backup altogether. It provides you with not only the functions of HEIC to JPG conversion, HEIC export, HEIC preview, but the overall HEIC management. As the best iPhone HEIC photo management software, DearMob iPhone Manager supports pretty much any photo format you can imagine: HEIC, JPG JPEC PNG TIFF BMP, now click to download it below as the best HEIC viewer. You can now open HEIC photos on Windows 10 and Mac with DearMob iPhone Manager without conversion! Cconvert iOS 11 photos HEIC to JPG on Windows 10, iPhone, Android; Convert HEIC to JPG online. If you regret deleting HEIC photos on iPhone after converted to JPG, this post can help you restore/recover HEIC pictures! View HEIC photos, manage HEIC pictures, export HEIC to JPG directly.